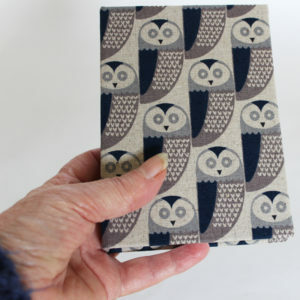 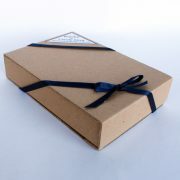 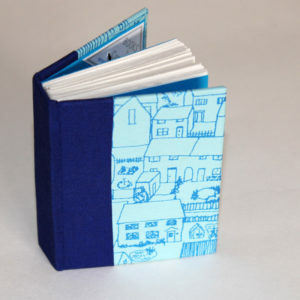 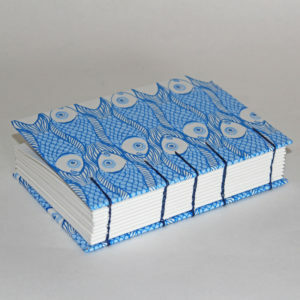 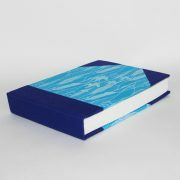 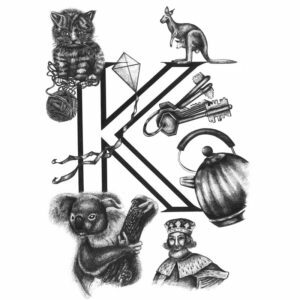 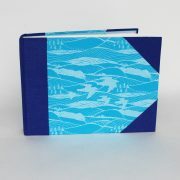 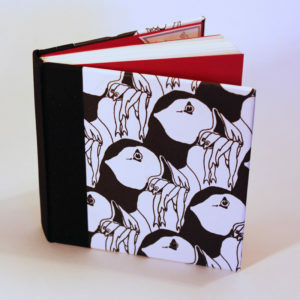 Home > Products > Paper & Prints > Stationery > Blue pocket sketchbook, notebook or journal with birds. 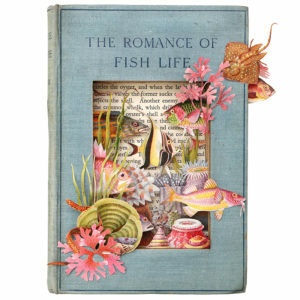 White 140 gsm acid free cartridge paper, hand stitched and bound into a chunky book. 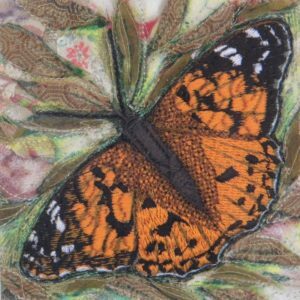 76 pages suitable for use with all dry media and light watercolour. 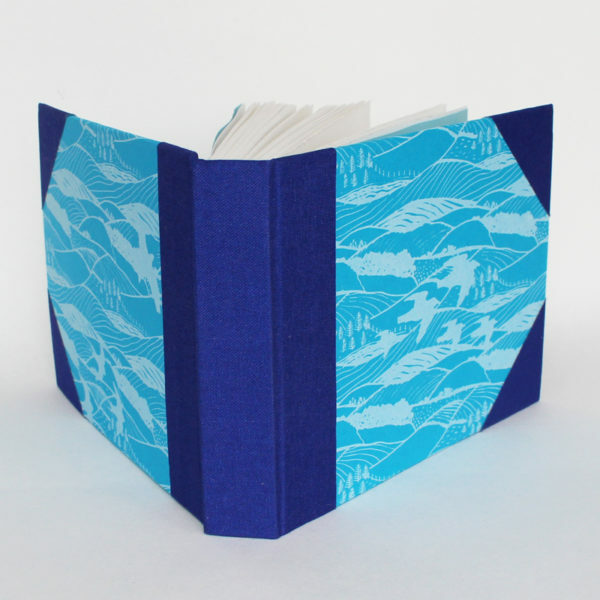 Finished with blue co-ordinating endpapers, with spine and corners in matching blue book cloth. 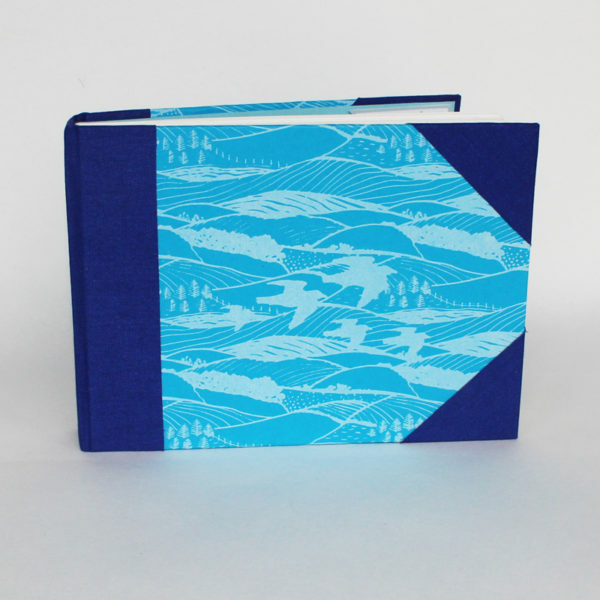 This paper design was inspired by the hills and birds where I live. 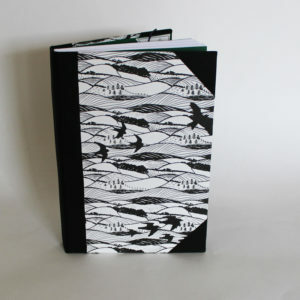 The birds depicted are gulls, swallows and red kites, all seen regularly from the garden.